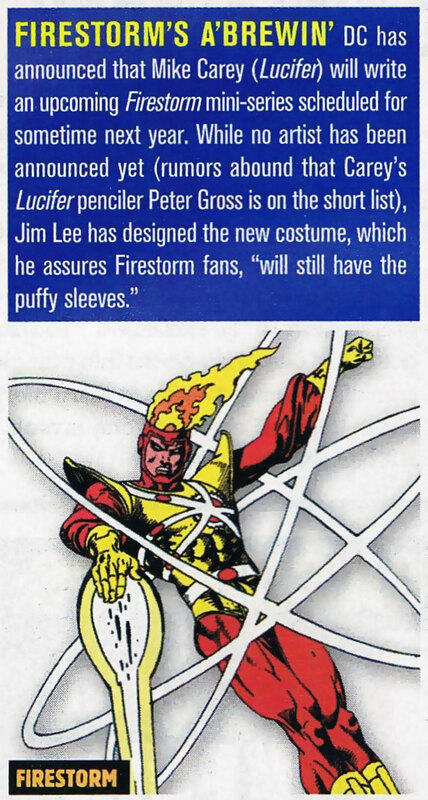 Did you ever hear the rumor back in the early-2000s that Jim Lee redesigned the Firestorm costume? I’d heard that rumor but never knew where it started. Well, Firestorm fan Florian Schwalenberg comes through again! Previously we’ve covered the aborted Firestorm series from 2003 by Mike Carey and Lewis LaRosa. 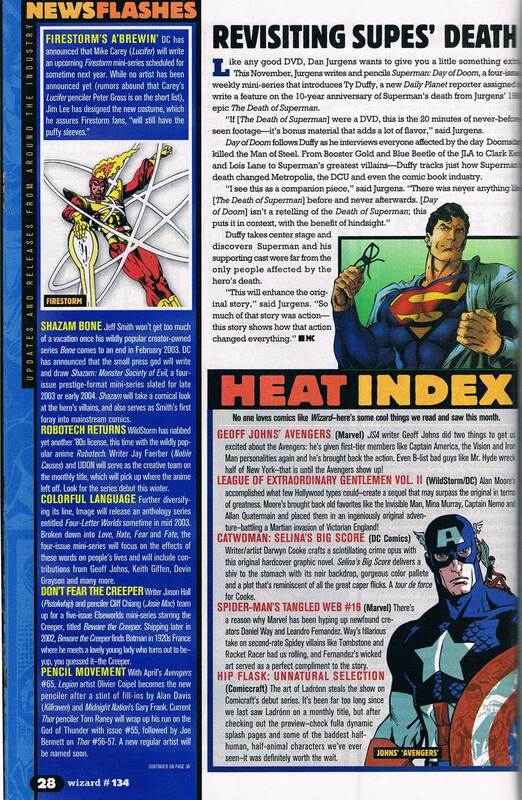 According to this blurb in Wizard Magazine #134 (November 2002), Jim Lee designed a new Firestorm costume for the then-in-development Mike Carey series. The article even features a quote from Jim Lee reassuring fans the costume will still have the puffy sleeves. Click the image to enlarge or scroll down. 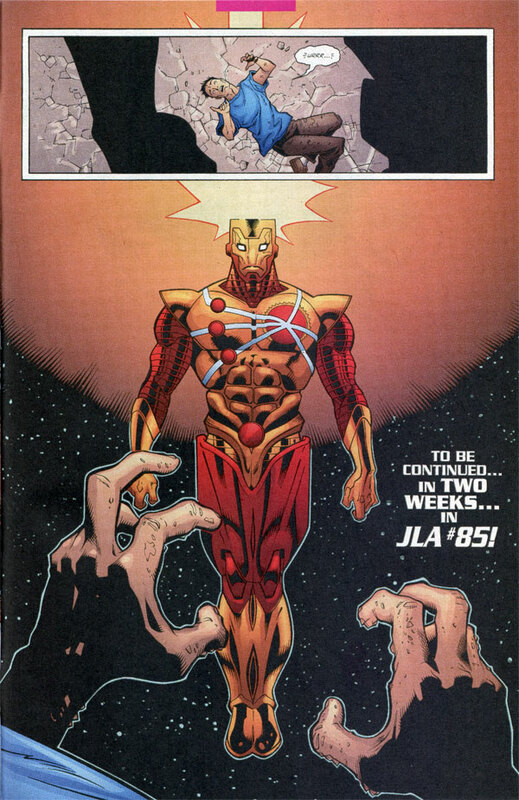 I’ve never seen any images of this supposed Jim Lee Firestorm costume. I wonder if perhaps the “Maniac” version of Firestorm from Mike Carey’s aborted Firestorm series was designed by Jim Lee. It does look very Jim Lee-esque, but doesn’t have puffy sleeves. Hmmm… we may never know. Thanks again to Florian Schwalenberg for the scan! Posted in: Comic books, Firestorm comic vol. III aborted. ← Brightest Day #23: “And at last, it’s Firestorm vs. Deadman!” … Huh? Regarding Firestorm’s redesign, the following forum page may be useful.